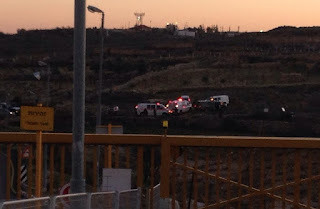 The details are still sketchy, but it appears an Israeli was stabbed this afternoon at the entrance to the Israeli community of Neve Daniel (population: about 400 families) which abuts Highway 60 in Gush Etzion, a few minutes drive south of Jerusalem. This source (in Hebrew) says the attacker fled into a nearby Arab village. First reports appeared around dusk, roughly 5:15 this afternoon (Tuesday). Details coming. The victim said he was running by himself near Neve Daniel when he was stabbed and that he continued onwards until the settlement's security guard noticed him and called for urgent help. The victim pointed towards the direction in which believed the terrorist fled, which was in the direction of [Nahalin (Arabic: نحالين‎) a close-by Arab settlement] - Ynet. UPDATE Tuesday February 9, 2016 - 7:00 pm: We know the identity of the Israeli victim. 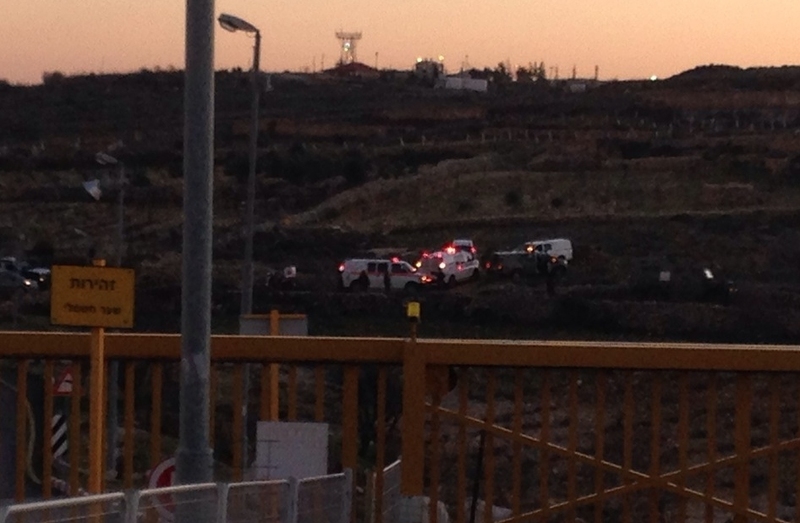 Times of Israel names him as Tomer Ditur, age 28, a resident of the nearby Gush Etzion-area kibbutz, Rosh Tzurim, An IDF spokesperson says the army has sealed off Nahalin as it searches for the knifer.